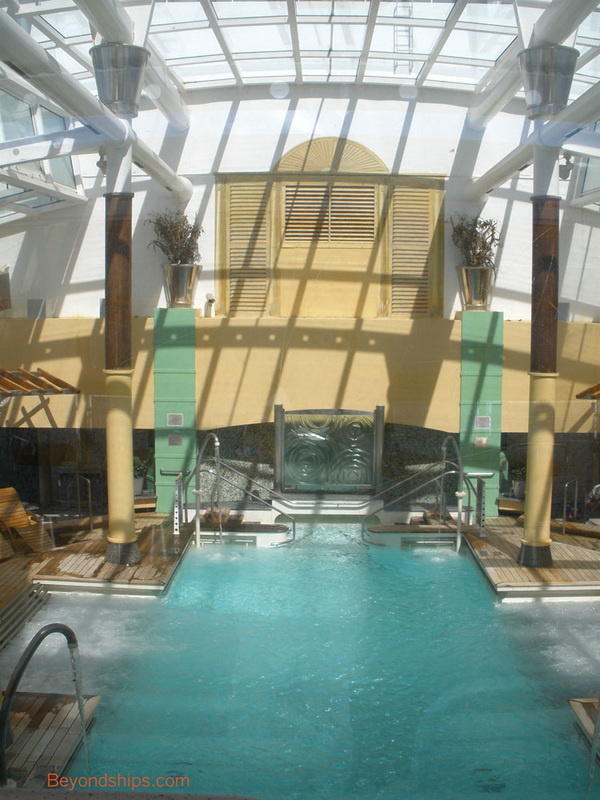 Summit's outdoor pool area encompasses two pools, four whirlpools, a bandstand, a dance floor, a bar, a hamburger/light fare grill and space for deck chairs. 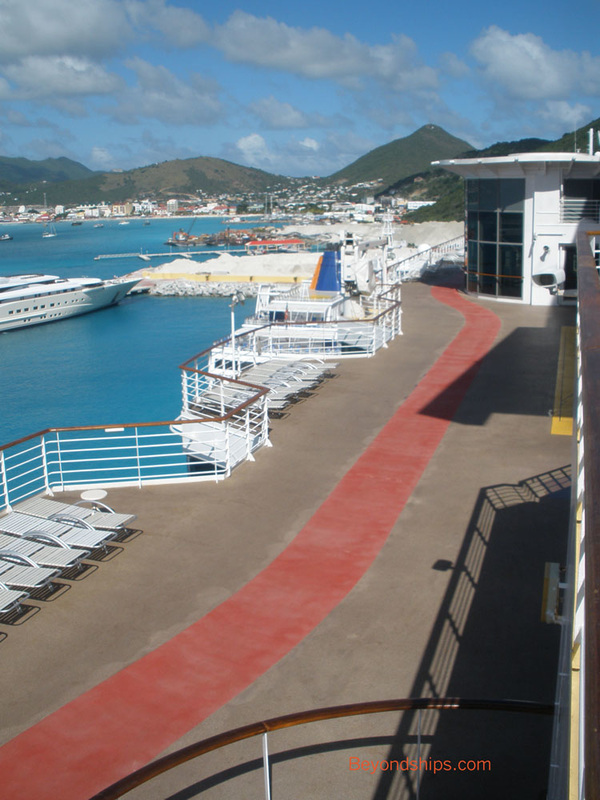 In addition, it is used for special events such as sail away parties and poolside barbecues. 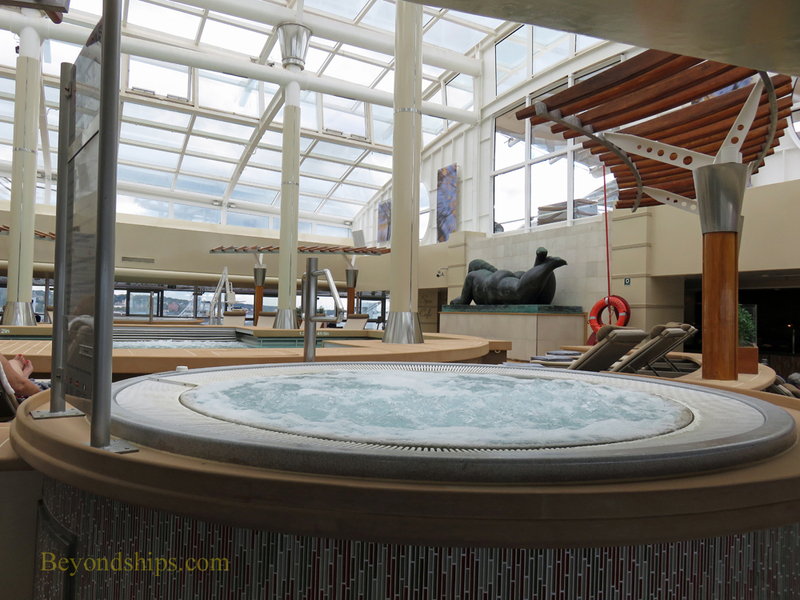 area one comes across is the impressive Solarium. 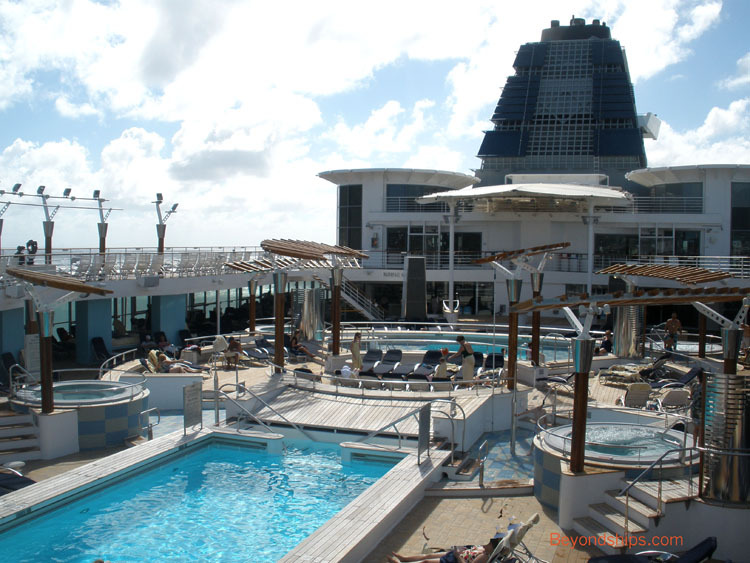 the pool has teak decking. Jets of water spray into the pool. This adults-only area also has its own buffet restaurant specializing in healthy foods. Somewhat oddly given the area's emphasis on health, a statue of a very obese woman is at one end of the pool - - perhaps as a warning. 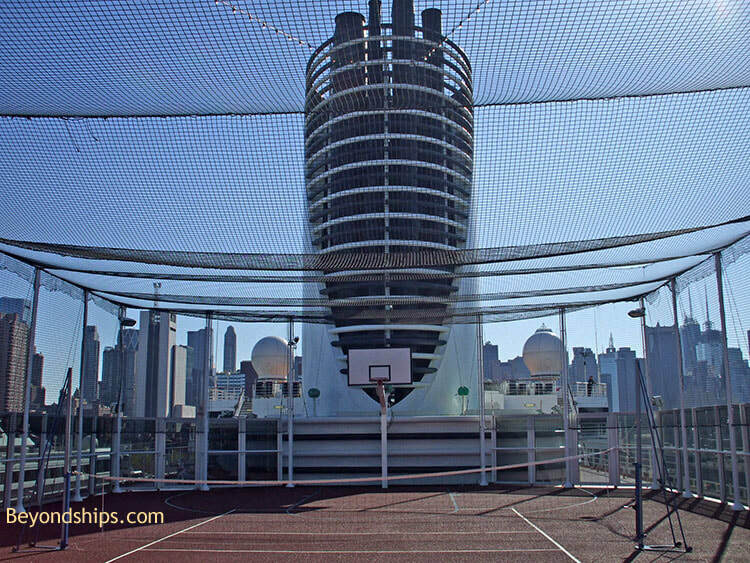 Summit has a large basketball court high on Deck 12. 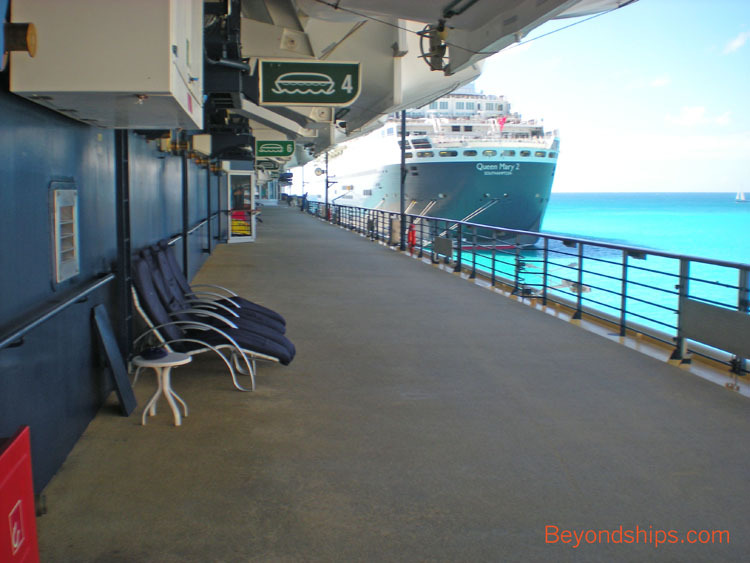 Guests can stroll the outside promenade on either side of Deck 4 (below right). finds the Jogging Trail. 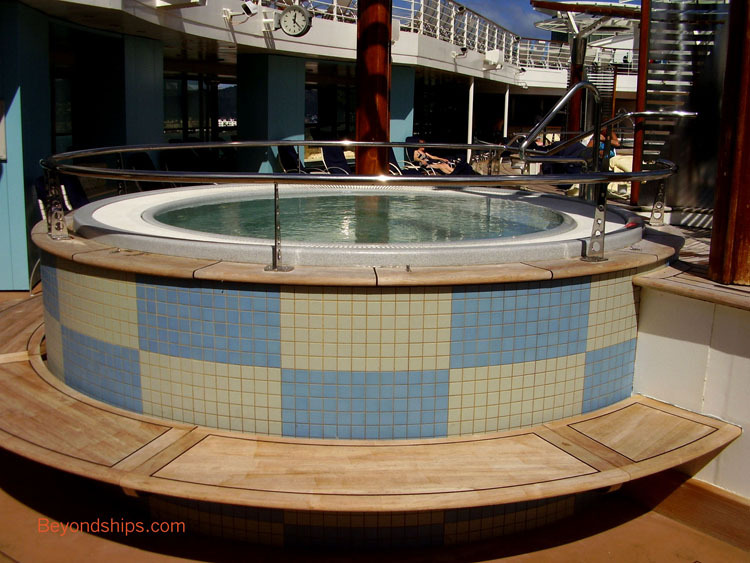 Due to changes in the ship's deck configuration, the trail is no longer a circle but rather a U-shape. 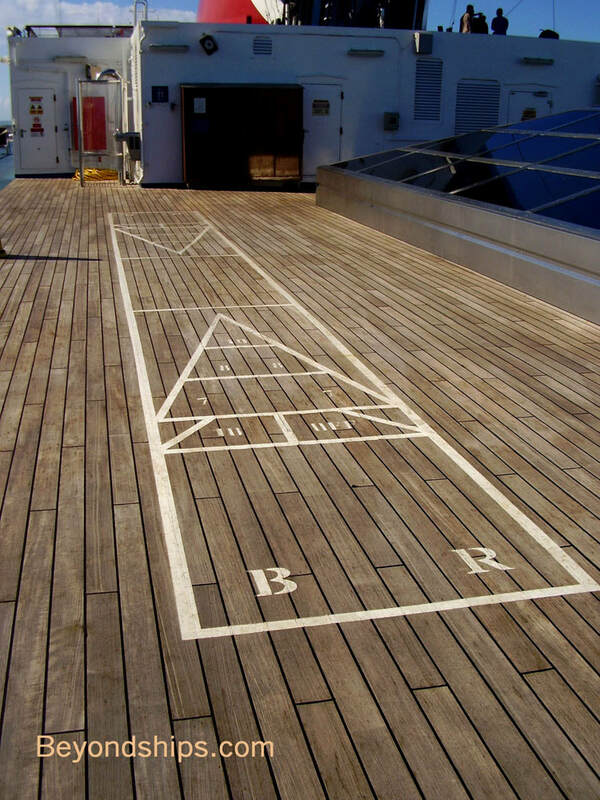 Guests can also play that traditional sport of the sea: shuffleboard. 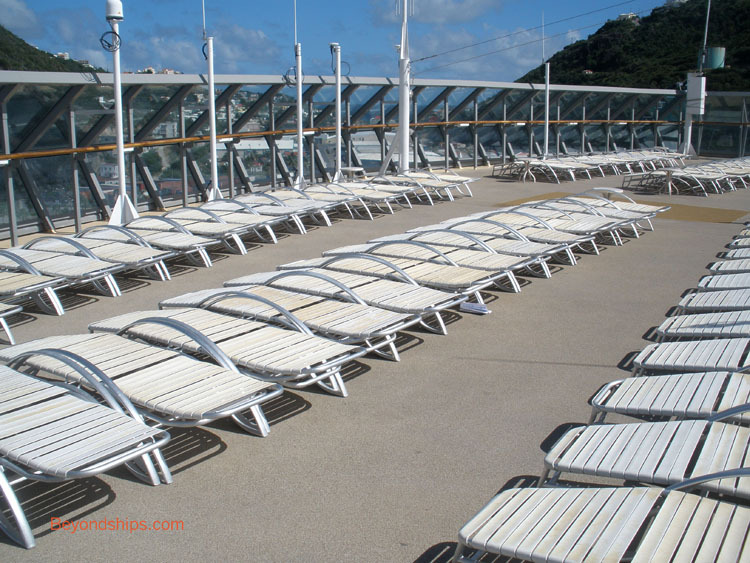 Summit has numerous deck chairs for sun worshipers. 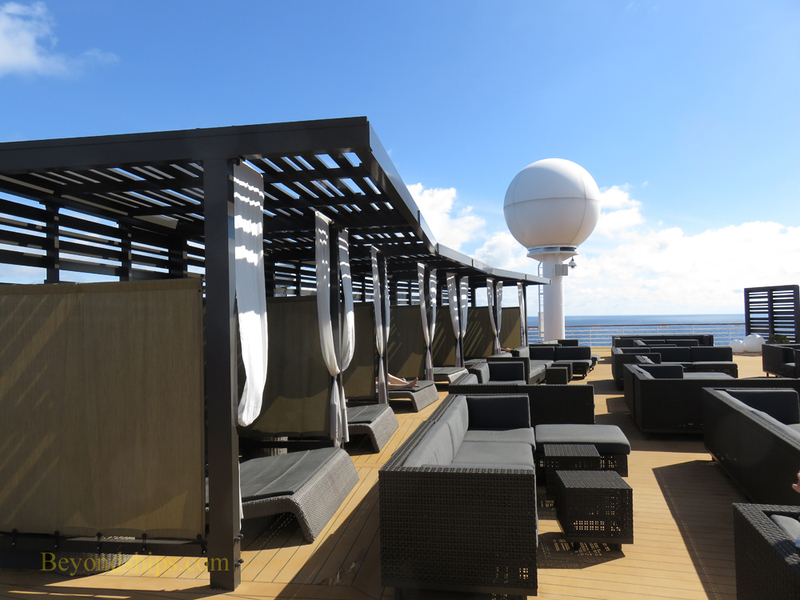 In addition, she has the Sun Terrace, an open deck space with premium seating and shelters as well as a large video screen.